Two months! Once again, time has flown by. In just a few short weeks I have to head back to work, and I have to say that I'm dreading it. 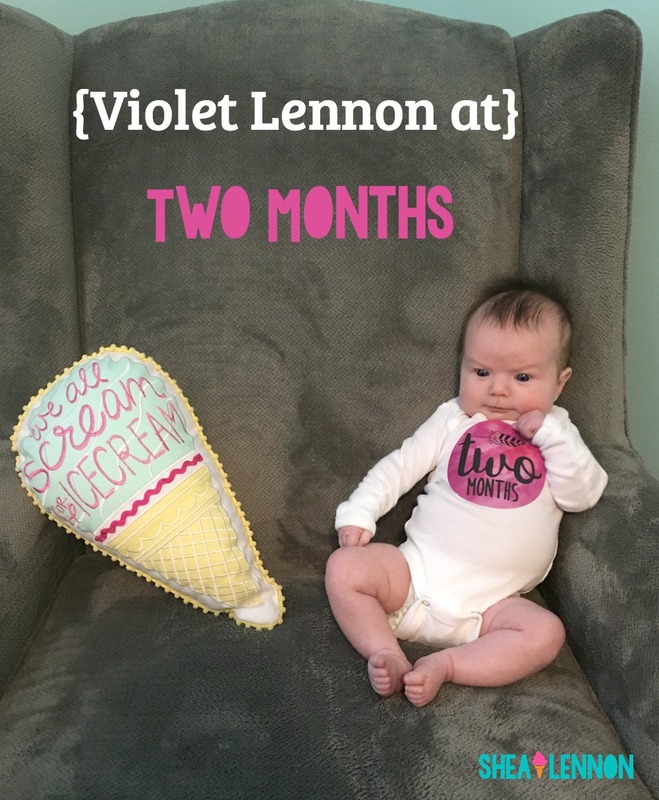 Violet has already changed so much, which excites me and breaks my heart at the same time. Weight - 9 lb 4 oz. 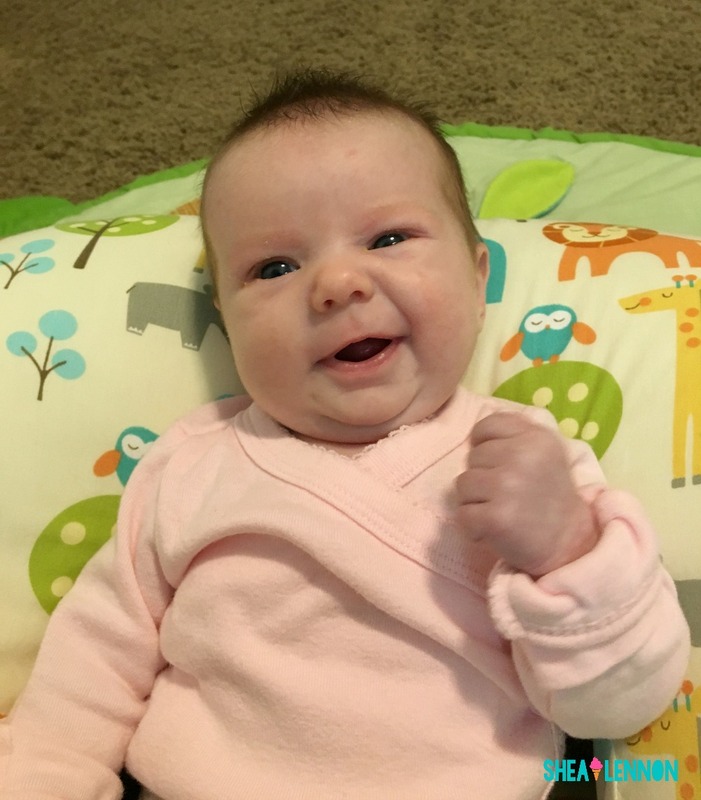 She's still just in the 8th percentile for weight, but she's been gaining like a champ! I can tell such a difference in her size already; her cheeks have always been chubby but now she's added some chub to her little arms and legs as well. Length - 21.5 inches. I can't guarantee that some of that isn't in her hair. It stands straight up in the back, it's so funny! Sleep - She's definitely awake more during the day now, although she still naps between feedings. Nights have been going a lot better, although she's far from predictable at this point. Sometimes she'll go for a 5 hour stretch at night, and on rare occasions she'll go longer. I'm hoping by the time I go back to work she'll be on a better schedule. 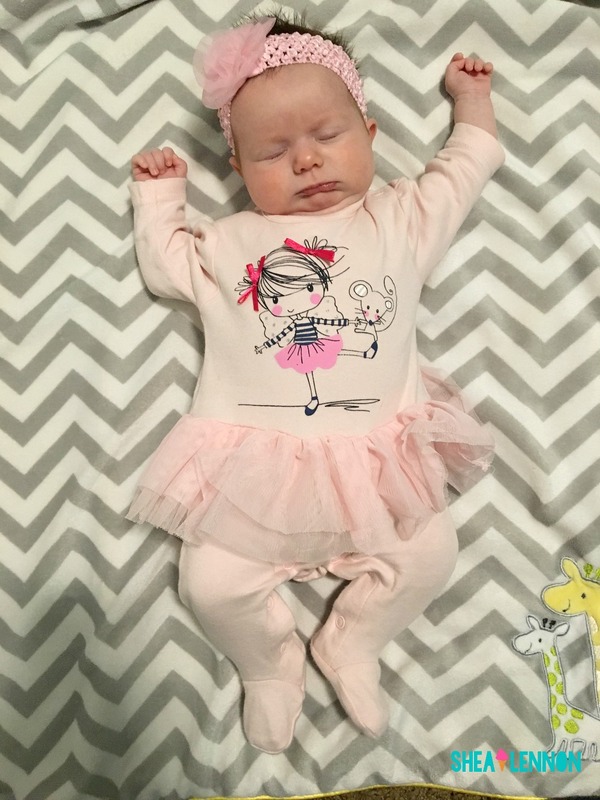 Clothing - She's starting to outgrow a lot of her newborn clothes now, especially the one pieces which are too short. 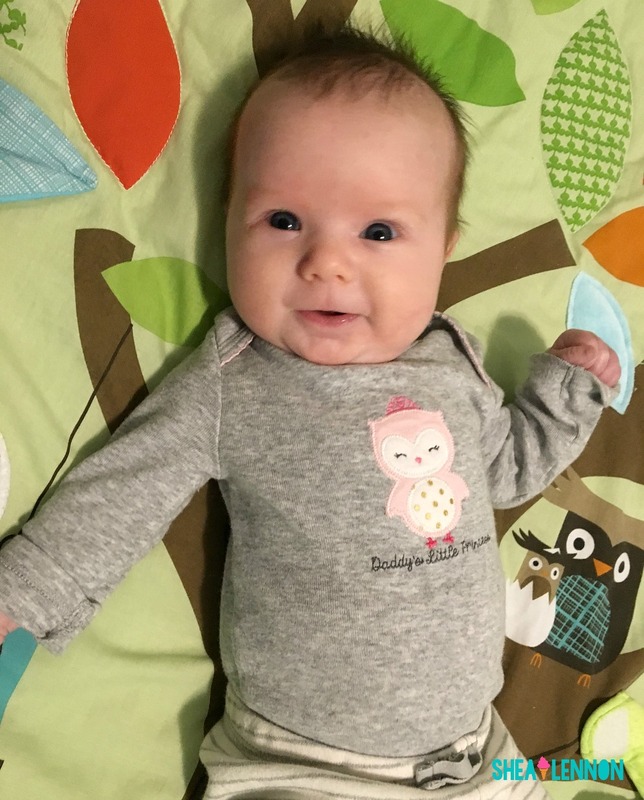 I've started to put her in 3 month clothes, although some of them are still too big. She's kind of in between right now. Mood - Don't let these pictures fool you, she hasn't been quite as content as she was the first month of her life. The second month has brought some fussy days, and especially fussy evenings. However, to balance it out she's also been giving us lots of smiles and coos. How we're doing - We're still tired, but we've moved out of the zombie stage thank goodness. Aaron's grad school semester is finally over, so I'm really thankful to have him home more. 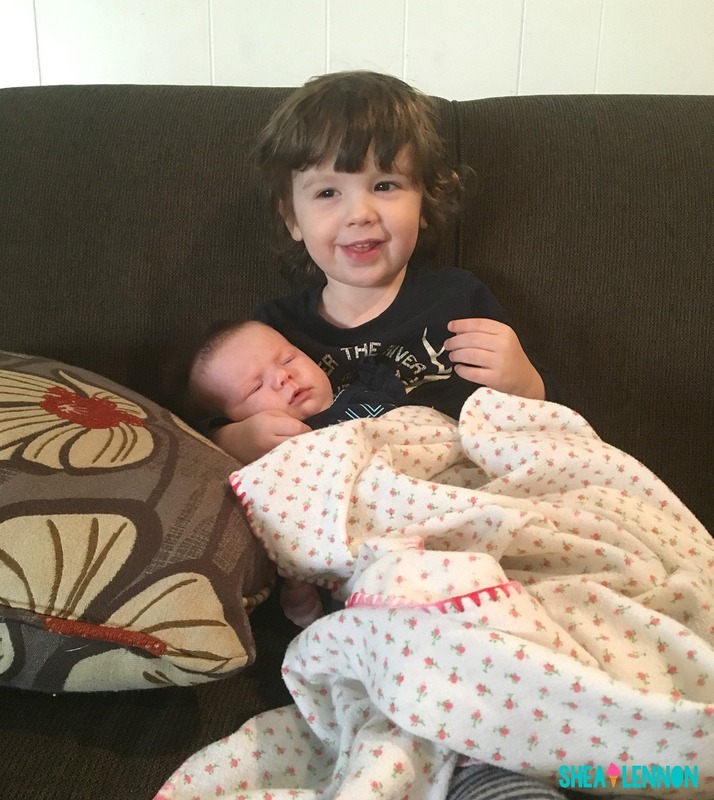 Having both kids home during the day has been pretty exhausting, and it's been especially challenging since it's been too cold for Jona to go outside and play. We try to get out of the house and go somewhere when it's possible so he's not too cooped up. I still feel like things are day to day and that I don't get a lot done, but I keep reminding myself that this is just a season and to soak it up as much as I can. Things I want to remember - This month has been really hard, but there have also been so many sweet moments. I love how Jona is always giving his toys to Violet, even though she's too little to care. She gives lots of smiles to Aaron and me, but she definitely lights up the most around Jona. I'm so excited to see their little bond form. 5 hours? Jealous! Our longest stretch as we near the 2 month mark is 3 1/2 hours. I had a friend who pumped for 14 months - no formula. Of course she did have 8 months of mat leave so when she came back, she only had to pump once at work which made it much easier. My first wouldn't take a bottle, and it took me forever to pump one, so I felt so tied to her for months. 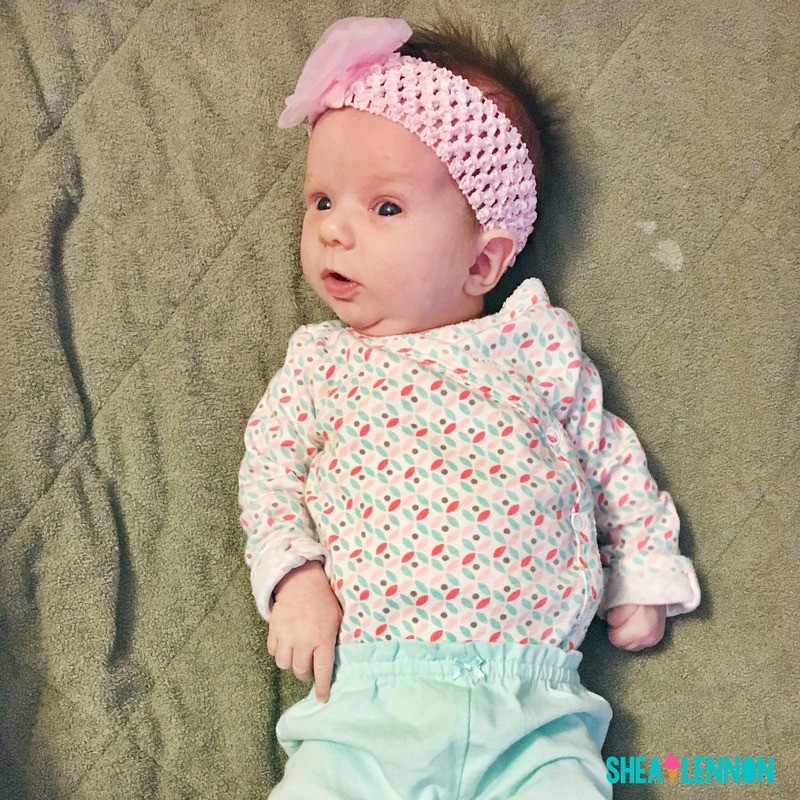 Thankfully, we had to introduce a bottle much earlier with my second for her weekly treatments, and pumping certainly is much more efficient this time around but that certainly doesn't make pumping any more fun!